Arcadia is a lovely neighborhood located between Phoenix and Scottsdale. It is bordered between 40th street to 68th street from Indian School to Camelback road. Some say the boundaries for Arcadia are south Camelback Mountain to Thomas road, and 44th street east to 64th street, but this can depend on whom you ask. Arcadia is not what you would call a “cookie-cutter” neighborhood, but a unique zone full of well put-together, upscale ranch style houses and a plush landscape. It is adjacent to the swank lifestyles of Paradise Valley, the Biltmore area, Scottsdale and north Phoenix. 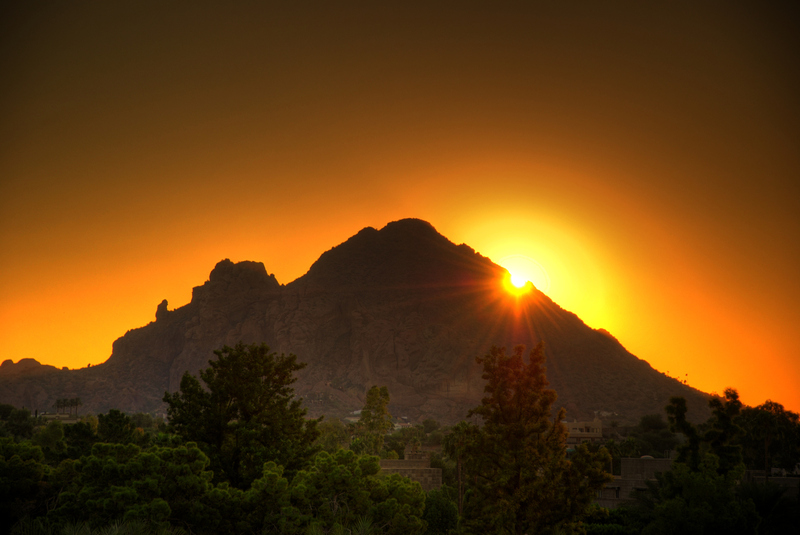 Arcadia has been frequently ranked as one of the top places to live in the Phoenix metro area, due to the unbeatable views of Camelback Mountain. Also, it is an ideal location for both work and fun activities, with nearby restaurants, some of the best hiking trails of Camelback and close to the Echo Canyon recreation space. Arcadia has character that no other neighborhood in Arizona can quite compete with, because the majority of these homes were constructed in the mid 1950’s. However, many of these homes now have been upgraded and remodeled but still encompass the old-fashioned finishes, which Arcadia is well known for. If you drive down the curving, winding streets in the heart of Arcadia, you will fall in love with the neighborhood’s exquisite curb appeal! Arcadia is more of a lifestyle rather than just a simple neighborhood. It has an honorable reputation for being extremely safe, with a strong sense of community. The character and charm is what is memorable about this region, along with its’ small-town feel. The easy access to amenities of adjoining cities is just an added bonus to what Arcadia has to offer! Arcadia is a short 5-minute drive to downtown Scottsdale, which has some of the highest rated eateries and nightclubs. Arcadia is also a short 10-15 minute drive to downtown Phoenix and Sky Harbor Airport. Located about 5 minutes from Scottsdale Fashion Square mall and the Biltmore, which both offer some of the best shopping and entertainment in Phoenix.